“This can’t be what it looks like.” CBS has released a new trailer for their upcoming summer series, American Gothic. The murder mystery stars Elliot Knight, Justin Chatwin, Megan Ketch, Virginia Madsen, and Antony Starr. 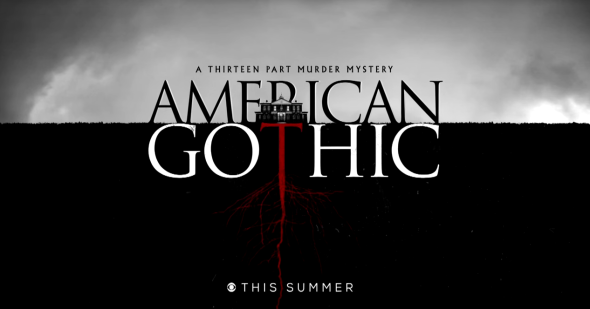 American Gothic premieres on June 22nd at 10 p.m. ET/PT. What do you think? Do you enjoy watching murder mysteries? Will you watch American Gothic? More about: American Gothic, American Gothic: canceled or renewed?, CBS TV shows: canceled or renewed? American Gothic: Cancel or Renew for Season Two?